Just recently, Manila celebrated St. Nazareno's feast, the black Jesus, hailed by devotees for decades of faith and prayers. But, for most cities and barangays that celebrate Sto. 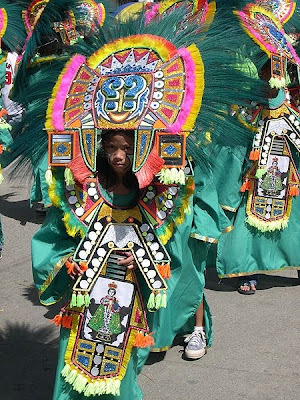 Nino's feast every Sunday of January or the Ati-Atihan Festival, the people give tribute to the little Jesus through colorful dances on black body paints and awe-capturing costumes. Aklan, Philippines makes this as a tourist attraction that the city is definitely swarmed with people and black people on spirited mood.